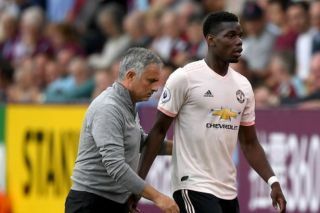 Manchester United midfielder Paul Pogba has explained his dip in form for his club this season, and seems to have put it down to arriving back late after the World Cup this summer. The France international was a key member of Les Bleus’ victorious team in Russia, scoring in the 4-2 final victory over Croatia to cap a superb tournament. Some have noticed Pogba has rarely looked that good in a United shirt, with the former Juventus man generally struggling to settle in England since his move in 2016. Speaking about his form so far this season, however, Pogba believes arriving back late from the World Cup has been an issue, with the 25-year-old somewhat unexpectedly making it back into the starting XI for the team’s opening match against Leicester City, before other players who hadn’t even made the World Cup final, like Marcus Rashford and Romelu Lukaku. ‘I’m trying to work on myself physically. I got back late (from the World Cup), so I’m trying to perform as well as possible,’ he is quoted by the Daily Mirror. We’re not sure this will wash with some United fans, who will be expecting more from a player who really needs to start doing his talking on the pitch after badly failing to live up to the hype and glamour he seems to surround himself with. Should Manchester United sell Paul Pogba? No way, he's a huge talent!